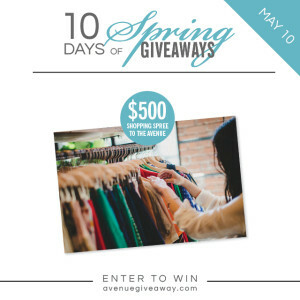 With competition from new outdoor lifestyle centers near their existing properties, The Avenue was looking to use its 10 Days of Spring Giveaways contest to increase online social followers and engagement with current fans and attract new ones at the same time. communications 21® (c21) suggested the use of a contest management tool, Rafflecopter, to provide added steps for contestants to take in order to build engagement and increase their chances of winning one of 10 great prizes – from designer handbags to massage packages to fashion deals and more! In addition to creating the contest and official contest rules, c21 launched an online Google AdWords campaign to boost the contest’s visibility and site traffic.